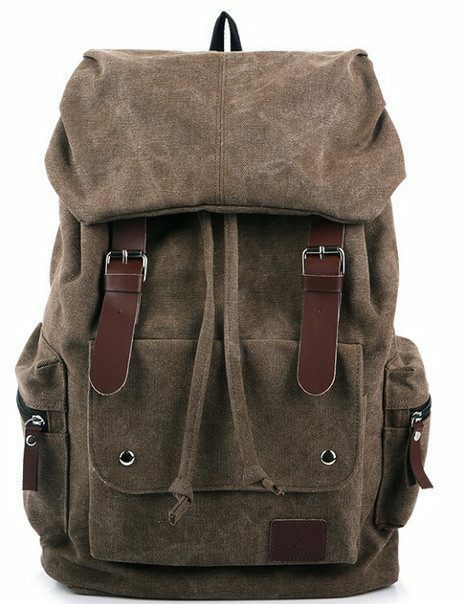 Vintage Canvas Backpack With Leather Accents Only $14.99! You are here: Home / Great Deals / Vintage Canvas Backpack With Leather Accents Only $14.99! I love a backpack for a weekend trip. More compact than a suitcase and so much easier to carry! This Vintage Canvas Back With Leather Accents for Only $14.99 provides classic vintage styling, robust construction and tons of storage space so you can carry lots and look great doing it! Constructed from heavy canvas, these bags feature leather straps and accents and several pockets for organizing. Measures 12.2″ wide x 16.5″ tall x 6.7″ deep.